Installing parquet floor, not something for everyone. But anyone can install ParquetVinyl. No need at all to be a handyman. The secret is in the flat subfloor. If you have that, you can install ParquetVinyl in no time at all. AND YOU CAN GET GOING STRAIGHT AWAY. Simple installation instructions are included in the packaging. A quick read and you can start ‘clicking’. It takes care of itself. And should your floor not be completely flat a subfloor works wonders. If you would prefer not to install your new floor yourself, a specialist will obviously gladly do it for you. 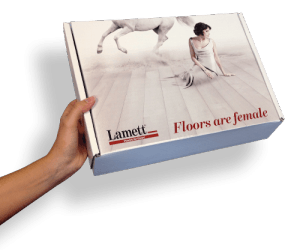 Ready to get rid of the old ugly floor? Choose ParquetVinyl. 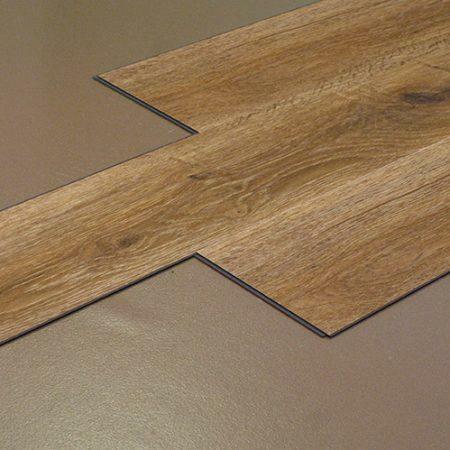 Because ParquetVinyl is so thin you can perfectly installation it on top of an existing floor. Do you want installation without a care? Choose a subfloor. Small height differences (< 2 mm) can be perfectly eliminated so installation goes much more smoothly. This also improves acoustics and the subfloor ensures a pleasant walking sound. Perfect for combination with underfloor heating. Subfloor: 10 m² per roll/ 1.4 mm thick.